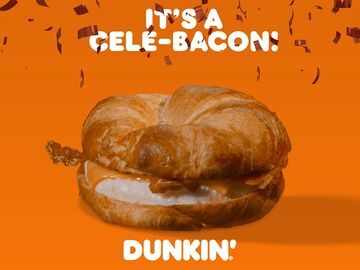 Today is National Iced Tea Day and here in the Dunkin’ Donuts test kitchen we decided to host a special mixology party to celebrate. Using Dunkin’s very own freshly brewed Iced Tea, we created a fun setup with juices, fruits and herbs to put a twist on our Iced Tea. In this recipe, we’ll walk you through setting up your own Iced Tea bar and give you some tips on some of our favorite flavor combinations that we paired with our Iced Tea to make DDelicious and refreshing Iced Tea creations. 1.) 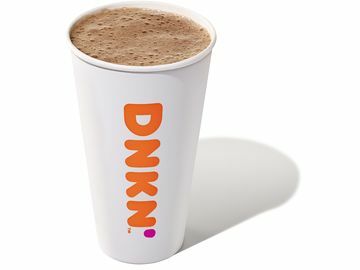 Dunkin’ Donuts Freshly Brewed Iced Tea: Ask for the tea to be served unsweetened and without ice so you can serve it at your leisure. 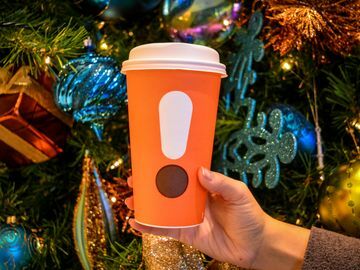 We recommend that you purchase the tea on the day you plan to make the beverages. 2.) Juice: You can use a variety of juices. We used orange juice, pomegranate juice and lemonade. 3.) Fruit: Let your imagination run wild! We used lemons, limes, oranges, strawberries, blackberries, raspberries, mangos and watermelon. 4.) Herbs: We recommend using mint or rosemary to add a fun, fresh twist to your mixology. We even froze some mint into our ice cubes. 5.) 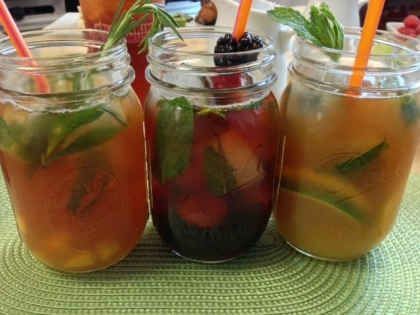 Mason Jars and Straws: Serve your Iced Tea in fun Mason Jars and your guests can garnish their glasses and straws with fruit and herbs. 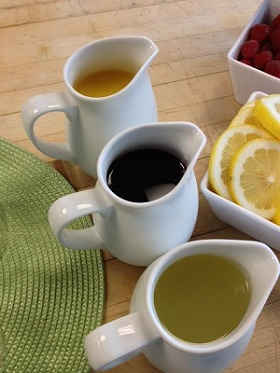 Put out small pitchers of your choice of juice for your guests to use. Wash all fruits before preparing. Medium dice any larger fruits like mangos and watermelon and slice citrus fruits such as lemons and limes. 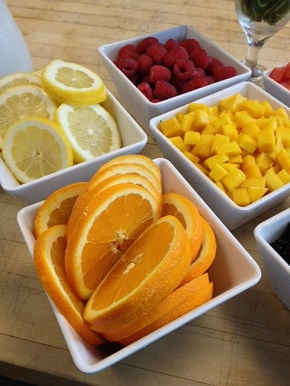 Place all prepared fruits in decorative bowls for your guests to choose from. Place rinsed herbs in a small vase with water to prevent wilting. Tip: A muddler may be a fun tool to let guests crush the herbs into the mason jar with their fruits. You can pick up a muddler at your closest home store. 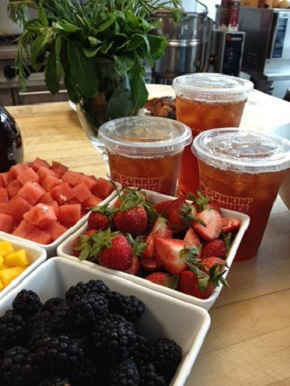 Pour the Dunkin’ Donuts Iced Tea into a large pitcher and leave spoons next to the tea pitcher so your guests can stir their creation after they top off their custom beverages with the Iced Tea. 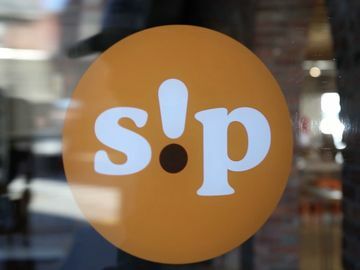 It may also be a nice addition to have simple syrup (equal parts sugar and water, dissolved together) handy for guests who may want to sweeten their beverage. 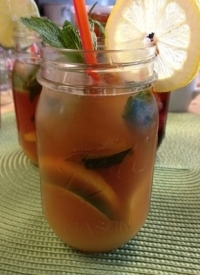 First, we have a refreshing blend of Dunkin’ Donuts Iced Tea with citrus fruits and mint. 1.) Boil water first so the ice cubes turn out clear. 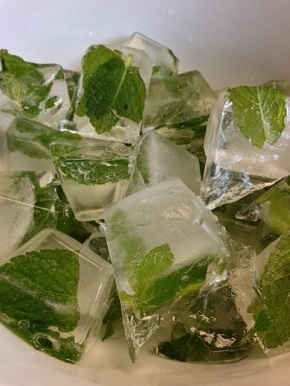 Add the boiled water to the ice cube trays and place one mint leaf in each cube and then freeze. Once frozen, add ice cubes to the mason jar. 2.) Pour 1/4 cup of orange juice into the mason jar. 3.) Add orange and lime slices (2 of each). 5.) 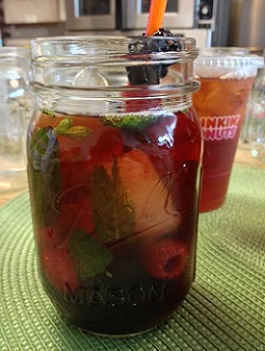 Pour Dunkin’ Donuts freshly brewed Iced Tea to top of mason jar. 6.) Garnish the glass with a lemon slice – Serve and enjoy! 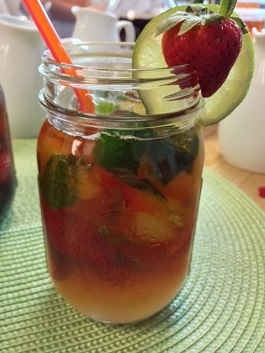 Next, we have a fun creation of Dunkin’ Donuts Iced Tea with an assortment of berries and mint. 2.) Pour 1/4 cup of pomegranate juice into the mason jar. 3.) Add blackberries and raspberries (5 of each). 6.) Garnish the straw with a blackberry and raspberry – Serve and enjoy! 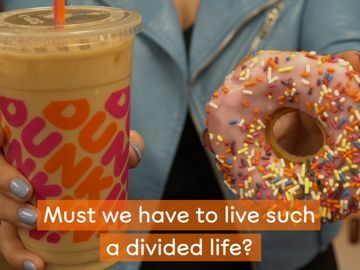 Are you celebrating National Iced Tea Day with a freshly brewed Dunkin’ Donuts Iced Tea? Tell us on Facebook and Twitter!